Ignite acts with integrity and always shows respect to all clients, business partners and employees. We believe that open and honest communication is the best foundation for any relationship. Passion is at the heart of our brand and will always guide everything that we do. We continue the development of ideas and solutions to provide innovative products and services. At Ignite we strive to adhere to these core values in everything that we do. From product innovation to our staff members; from customer service to marketing efforts – we always stay true to our values. Ignite Products is based on a timber farm in KwaZulu-Natal, South Africa where we started making charcoal products twenty-five years ago and the business has grown substantially. With its experienced management team and skilled local workforce, Ignite now exports its superb range of niche charcoal and related products and has earned an outstanding reputation with international customers. Ignite’s incredible success can be attributed to a solid and plentiful base of raw product, a good management infrastructure overseeing highly productive staff and a product range that caters to all its customers’ needs. 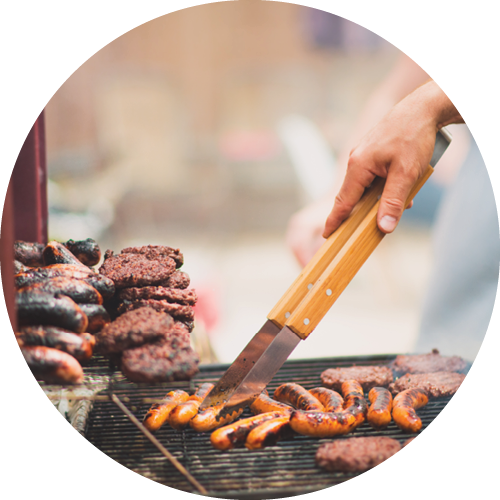 The braai is one of the most popular social gatherings. Across all boundaries of race, language, status and gender; people come together to enjoy our South African tradition.